The eleventh installment of the Under Eternity Blue radio program hits the Internet airwaves this weekend on Spirit Plants Radio with two show times: Saturday, December 11 at 8pm PST, and Sunday, December 12 at 7am PST. Spirit Plants Radio asked DJs to give this week's show some level of a seasonal theme. During the busy holiday season, this episode opts to explore the solitude and peace that may be found on a late night walk in Winter. The show attempts to paint a musical landscape to accompany the listener on a personal and peaceful journey - sometimes handy at this time of year. We as Deadhead's are typically a musically sophisticated bunch. Most of us are hard wired to enjoy music deeply, and often our tastes expand far and wide. As I've mentioned here from time to time, the Dead only fill about 10% of my musical universe on a daily or weekly basis; often far less than even that. 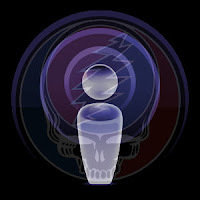 In many years of pushing my musical horizons, I have always looked for resources in the sphere of "all music" that can do for me what I try to do here in the Grateful Dead sphere - take my hand, make suggestions, and turn me on to music I would otherwise never find. One of the best I've found is MOG.com . Beyond its depth of music and the community, I get fixated on the simple slider tool which allows me to see "similar artists" while listening to any song. It's an instant wormhole to connected music I've never heard. I get lost in that slider like most folks get lost playing video games. MOG is offering free trial memberships right now. If you haven't played around with this site, I encourage you to do so. Check it out . So we established early on that I set up the Grateful Dead Listening Guide playing the character of an old hippie guy living across the street from you. One day a couple of years ago you and he struck up a conversation, and soon you found yourself invited over to the old guy's basement where you were seated in the sweet spot between artfully spaced stereo speakers as he began pulling tapes off the wall, filling your ears with stories, enchantments and mysteries deep and vast. Judging from your repeated return visits, everything has gone very well. 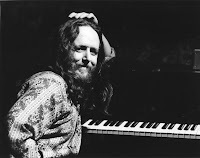 You continually enjoy an endless parade of music-magic, and the old hippie finds tremendous pleasure in learning more about his own spiritual connection to the music through this sharing and the reflected joy it clearly produces in your welcoming eyes and ears. By this point we've share a great deal of music and it sometimes becomes a slight struggle for the old hippie to pick the next tape. This time, rather than trying to outdo myself by producing a completely hidden gem, I've decided to go back to one of the very first shows I ever received from the year 1973. 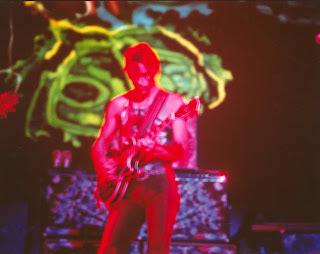 March 24th 1973 is well circulated, and I wore my own tape thin way back when my grand total of 1973 shows was about 2. Perhaps because of this, the show never really struck me as something to recommend to you here. Perhaps I felt somehow that the show's magic wasn't unique enough. Maybe I thought that it was too commonplace a tape. No matter the reason, it didn't help that I hadn't listened to the show in a very, very long time. That all changed on a whim when I pulled the show back out. Revisiting it now, I'm struck with the realization that this show I so easily let myself forget over the years possesses a heaping helping of that which I treasure most about 1973 Grateful Dead jamming – a certain nimble jazzy Ferris wheel sound that I often only find deep in the summer of this fine year. It's no wonder that this, as one of my very first tapes, cemented my lifelong connection to the Dead, and to 1973 in particular. The pleasures of this show are not only waiting deep in the second set. We are treated to a lovely first set and quite an extended Playin' In The Band to wrap it up. Psychedelics explode on the scene as if they've been held back to the bursting point. The music swirls. Colors bleed. Jerry casts out leads that tip toe deftly over rolling river rapids, often taking a path up over tree tops and then incredibly threading between blades of grass. Late in the jam we find Garcia taking a break while the rest of the band continues to churn with a kaleidoscoping display of yellow-orange embers dancing through burning logs. 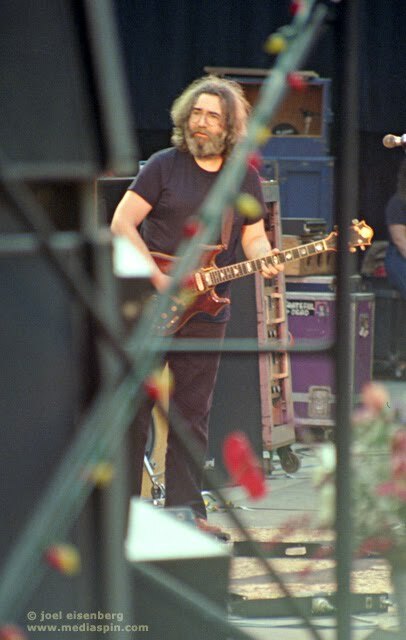 Jerry returns and adds searing white and fuchsia flames to the mix as the song returns to close the first set. China>Riders in March 1973 are noteworthy for often delivering an unprecedented amount of energy and momentum, and the one here on March 24th wastes little time living up to the reputation. The transition jam flies. 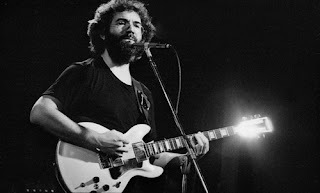 The band locks into a shuffle with Garcia streaming sunbeams, and the familiar four-chord jam, while not being as heavily pronounced as in other versions, does not disappoint as we transition into I Know You Rider. With solo sections that burst with that joyful effervescence that defines the Dead in so many ways, we can't help but smile throughout the entire song. Of course it's the shows extended jam in the second set that places this show on a pedestal, and for good reason. Out of Truckin' the band lets the music settle into a meadow of grass where wind barely whispers. 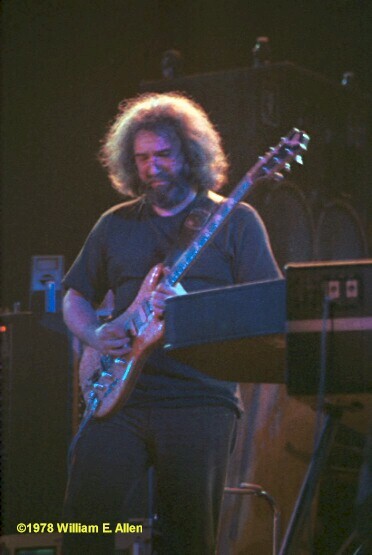 Jerry delicately lofts out the opening lines of Dark Star, yet no one takes the reins with him. Instead, the entire band slips effortlessly into a rolling jazzy 1973 jam that typifies the year completely. This jam is as reminiscent of the big '73 Watkins Jam as nearly anything else on record in this year or otherwise. The tempo flies as Garcia unleashes long staccato runs that reflect and echo upon themselves leaving trails in the air, cutting a dewy mist with ripples of energy. The purity of the Grateful Dead's musical soul is stretched into the sky, pulling us into a rapturous dance erasing all physical barriers. In this music we feel the Grateful Dead resonate far more deeply within us than words may express. A small guitar break finds Billy and Phil bebopping out a Drum and Bass solo. The rest of the band returns and picks up right where it left off. We are lost, fuse and reflected within the invisible fabric that beats in the empty space of atoms. Soon a Spanish Jam appears and is quickly vaporized into caverns, light years deep. Great drops of sound randomly take shape and gather together with invisible gravities. Orbits shimmer. Waves rise and fall. Slowly a subtle symphony takes shape. Singing stars and slowly bowed strings rise into harmonies, and the sky fills with a thousand sunsets. An ocean-sized crescendo, as delicate as an evening breeze through trees fills the infinity all around. Dark Star appears. 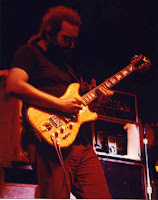 While it can easily be touted as the shortest Dark Star on record (at only about four and a half minutes), all fairness points to Garcia tipping the Dark Star hand some twenty-two minutes prior as the jam first took form. But we aren't here to quibble over the length of the song. The music flutters like slow rolling redwood tree-sized velvet drapes stretched for a hundred miles around us. And we are eventually left in awe as the band transitions liquidly into Sing Me Back Home. Here the gospel overtones conjure up that familiar feeling of sitting around a campfire, as a story is told. 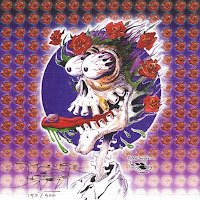 When Garcia hits his solo, notes blossom streaming flower pedals all around. He somehow conjures every ounce of the sound system's power into delicate footsteps that leave no trace in the sand. Grace, as simply delivered as ever. A classic Dead tape to be sure. Worth the listen even if its been sitting on a shelf for a quarter century or more. Once in a while Grateful Dead tributes appear in the world of popular music. Given the subtle underpinnings of what actually makes Grateful Dead music worth honoring—that often being much more than the songs on a Grateful Dead record—the thought of a tribute album often struggles to appear as anything more than novelty. 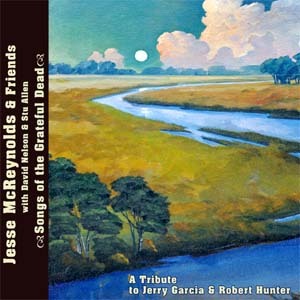 This is not the case with Bluegrass legend Jesse McReynolds’ Songs of the Grateful Dead: A Tribute to Jerry Garcia & Robert Hunter. Released earlier this week, here the Dead seem to have been honored in a way that polishes a jewel with which we are already familiar but might not have studied quite so deeply. The bluegrass roots of the Dead are well known to those who cherish their music, but might be something of a surprise to the mainstream. And while psychedelic jug band bluegrass music might be an eyebrow raiser to many, this element within the foundation of the Dead’s musical spirit is clear. 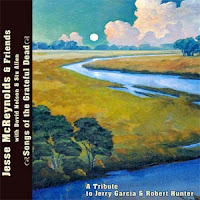 Introduce Jesse McReynonds working with David Nelson to produce a collection of Hunter/Garcia compositions, and we quickly see how naturally Garcia’s music finds home in the Bluegrass genre. I was lucky enough to receive an advanced copy of the CD, and to chat with Mr. McReynolds about the project. His approach is pure and without cliché. His song selection pushes the boundaries to a place where producing outright bluegrass versions of Grateful Dead songs would seem contrived. Wisely instead, tunes like Franklin’s Tower and Fire On The Mountain showcase fine Bluegrass musician riffing into Grateful Dead territory. And Bird Song might be the finest example of where Bluegrass and the Dead find union. For Deadheads, the entire CD offers an instant sense of familiarity—all of the songs are well known classics. To hear them presented in McReynold’s style, often with the addition of pedal steel (Stella Blue – perfect!) and other instrumentation well within the Grateful Dead universe, allows us a very intimate perspective on terrain we have traveled often. And the disc is capped off with the lovely and catchy “Day By Day,” a tune written with Robert Hunter himself. 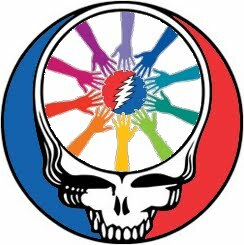 I recommend you check out Songs of the Grateful Dead for yourself and see the familiar in a fresh and naturally fitting light. Road trip to Georgia, anyone? Something good's sure to go down when the LaGrange Symphony Orchestra performs on October 5th, 2010. The iconic Deadhead adage of "we are everywhere" never seemed more true than when I first heard about Lee Johnson's Dead Symphony No. 6. The Grateful Dead's infusion into the world of classical music was something of a Deadhead community triumph, yet I really didn't know what to expect from this fusion, and I'll admit that I leaned pretty heavily on the skeptic side. Grateful Dead "with strings?" Oh dear, please no. What is actually transpiring in Dead Symphony No. 6 puts all these fears to rest. You might compare it to the way the Dead's music eclipses the ubiquitous stereotype of "drug music for stoners." This is no mere "Dead with strings" performance. Having listened, I now find myself hoping that the Dead Symphony caravan somehow makes its way up to Chicago so I can hear it live myself. Lee Johnson's creation isn't something that can be called a Dead tribute. It's more as if the Grateful Dead's muse has manifested itself through Johnson into a classical expression. 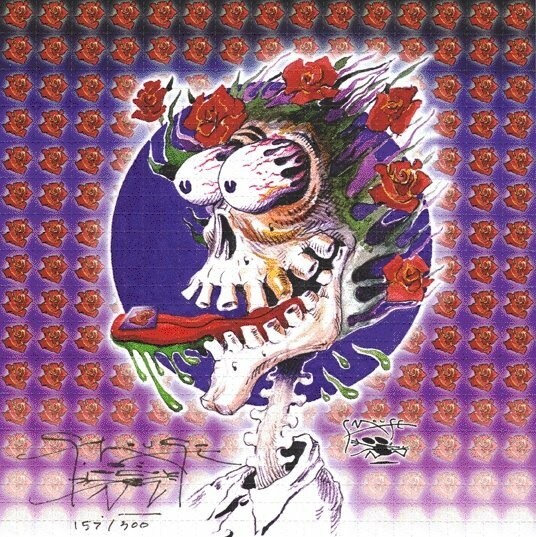 Lee has allowed the Dead's melodies to seed a final product that is less about Grateful Dead songs being played by a symphony and much more about the intricacies and layers of Grateful Dead creativity finding a compelling voice. Sometimes we can almost sing along, while other times we are given merely taste enough to know which song sparked Johnson to compose and arrange. From there we are treated to a musical experience that reaches its own "gold ring, down inside." 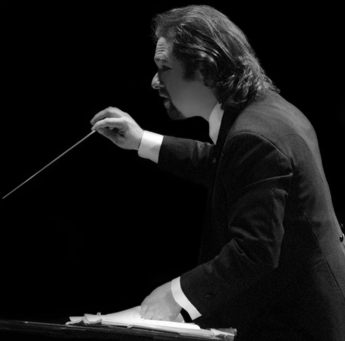 I bring all this up because it is an intriguing element in the evolution of our Deadhead community, and since the music is doing something truly special, I feel compelled to make sure any Atlanta Heads who frequent these pages know about the LaGrange Symphony Orchestra concert on October 5th. It is sure to be an eye- and ear-opening evening. Get there if you can, and come back and tell us all about it. A classic and fantastic audience tape from late 1978, the Mississippi State Fairgrounds show on December 19th goes well beyond showcasing stellar heights attained in ‘78. This show works that special sort of time travelling magic we occasionally find where the exact year of the performance becomes indistinguishable to even the most seasoned listener. And even before the knobs and dials are turned back to 1973, this tape will be knocking your socks off. 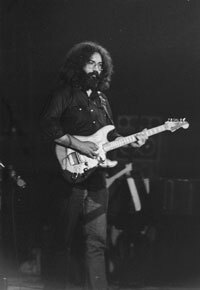 We are treated to a fine show opening Half Step > Franklin's with Garcia shredding his way into the transition and liquidly loopifying his way through the solos in Franklin's Tower. The show gets off to a delightful start. The first set works its way along, establishing a quintessential Dead vibe. The set wraps up with an extended Row Jimmy (over 12 minutes) and a Lazy Lightning > Supplication which, while experiencing a drop in levels just at the transition that will force you to crank up the volume a bit, caps the set on a crest of energy sure to pour over into the second set. That said, Scarlet Begonias has a somewhat shaky start with what feels like a dragging tempo and Jerry blowing lyrics. But things quickly pull together, and as Garcia plays his first solo he stokes embers into flames, and flames into shimmering heat. We come out on the other side for the song's last verse slipping directly into a sublime musical journey. The tape is sounding perfect. Everything spreads out for miles in all direction and each instrument occupies its own distinct space. The jam moves like wind over a gigantic sail. It ripples and swells, sometimes slowly, sometimes in gusts. The music pushes from several directions at once. Fragments turn and reflect light into unexpected colors and there is a subtle disjointedness to the otherwise rolling and rocking which provides brief secretive glances into a chaotic underpinning far below. Before we can truly grasp these secrets, Fire On The Mountain's theme appears, and we drift effortlessly toward a more familiar shoreline. The solos through Fire On The Mountain soar. Jerry's tone cries with an emotional voice as Bobby indulges (over indulges?) his love of playing slide up over the 21st fret. Still, the song builds beautifully. Garcia's voice begins to roar and scream. He hits the final solo section and rides the song's theme into the sky. Everything begins to tremble and shake. Phil and the drummers crash and tumble. Jerry continues to burn as the song comes to a fine finish. In Truckin' we find a full exploration of the secretive chaotic worlds hinted at earlier. The jam unfolds quickly into a swirl of Other One infused darkness. The downbeat slips completely from view and a sparkling canopy fills our visual field, full of slowly undulating clouds. A wonderfully extended jam ensues tinged with a delicacy that belies the typical themes of a 1978 Dead show. Slowly a creeping intensity floods the sky and we are being driven into showers of fire and glass. 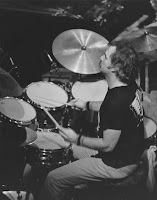 The chaotic underpinning of twisted roots gives way to Drums. They stand as tall as mountains before us, and the recording offers them to us as no soundboard could. We come out of Drums not into Space, but rather into a lilting jam section that instantly transports us to the thick summer pastures of the jams found on June 22, 1973. The tone of all the instruments is warm and fluid. Phil and Bobby, especially, sound as if they have been grafted in from five years prior. And the music has an ease to it that is unmistakably 1973-esque. This haunting reminiscence goes on for what feels like forever and leaves us in a space of breathless joy. When Phil hammers us into Other One proper, caves and twisting fractal caverns spin us in all directions. Electricity pours through the outer layer of our skin. It is as if there are several versions of the song being played at once with multiple bands swelling in and out of view—cross fades pull in like tides, then recede like shadows. There is little room for anything but the music here. It is as if we've been absorbed by an enormous intake of the band's breath and will not return to our known place in the cosmos until they have finished with us. This “finishing” actually transports us to as tranquil a setting as can be conceived. Stella Blue appears out of thin air, and Jerry has us huddled close to hear his story. And as we travel out of this songs into the next, we are treated to a segue of such magical intertwining that it feels almost criminal to realize the Dead never did it quite like this again, ever. There's little point in trying to describe in words the way Stella Blue and Not Fade Away become one during this transition. It goes beyond most indulgent expectations related to the Grateful Dead's ability to weave one song to the next. If you've never heard it, this is a slack-jawed and drool producing passage of music that may amaze you in its having been hidden from your ears all this time. But such is the world of Grateful Dead concert recordings, is it not? This is really why we're here together now. And I'm glad to be able to pull little gems like this out from time to time, even years after starting us down this path of musical guidance and recommendation. Listening Session 010: Enjoying standout birthday moments across Grateful Dead history during the annual honoring of Jerry Garcia in the days between his coming and going. Amidst the backdrop of a jaw-droppingly sensational outdoor audience recording and a blisteringly clear representation of exactly what 1982 sounded like, here we are treated to something of a legendary performance by the Grateful Dead out of this all-too-often forgotten corner of the early 80's. The little two night stand at the Frost Amphitheatre in October 1982 has always been a pretty popular go-to set of shows from this year. Interestingly, as I return to this particular show after nearly a decade I am struck less by the way the band brings the roof down with some colossal psychedelic force, and much more by the way in which this performance exceeds expectation through intricate subtleties that may pass unnoticed by a less attentive ear. In this quality, I think this show exudes something of the inherent intoxicating power of the early 80's altogether. I wonder if it might take a more travelled set of ears down the Grateful Dead road to truly hear this substratum of musical magic. Is it something akin to an advanced calculus class that would go completely over the head of someone yet to learn basic algebra? Is it fair to compare more classic Grateful Dead from the 60's and 70's to a basic level math class? I may be treading into dangerous waters with this analogy. Suffice it to say I will take it on as the duty of the Grateful Dead Listening Guide to draw your attention to this show specifically in an effort to make sure you come face to face with this potent yet infinitely subtle psychedelic tapestry. The night is alive with Technicolor sun streams and rivers of floating fractals, elements sitting just below the normally unassuming air. In the same way that 1976 tends to hide an infinite world of swirling detail just beyond the obvious scene before you, this show reveals riches hidden behind trees others may have neglected to peer around. A delightful and comfortable first set delivers several pleasures, not the least of which are the slippery and twisting paths of The Music Never Stopped and sizzling Deal to close the set off. In set two, as the glittering caverns of Estimated Prophet's end jam begin to unfold before us, we are pulled from a simply sensational field recording made at the hands of Rango Keshavan, responsible for another equally stellar recording featured on the Guide, directly into a sonic landscape that commands a familiar singularity of experience. Individual boundaries dissolve and we are experiencing the music at what is instantly personal and universal at the same time. This time it comes in the working of subtle fingers. It's in the hidden interplay of rhythm between the drummers; the way the downbeat begins to snake in circles and echoing patterns. It's in the beautiful way that Garcia rises and falls. By the time they transition into Eyes of the World our hearts are lock step in time with the pulse of the band. Jerry's solos in Eyes literally soar off the tape. They peak and dance and sparkle and shine with that joyful exuberance that so typifies the unbounded love deadheads have for the band. Place any fan into this passage of the show and they will begin to smile and sway, unable to remain focused on much else going on around them. The post Drumz section of the show is what elevates this night into hallowed halls. With a Space that gorgeously swells and sways more than explodes and fractures, we segue nicely into Truckin'. The hints become more and more evident until we are bobbing along with the band directly into the song's unavoidable bounce. Truckin' cooks along and when Jerry hits a glorious high note at the crescendo of the song's massive build up, you can't help but giggle with contentment. Other One soon follows, and it builds out of its own quiet night shrouded ocean. Several minutes pass with the ebb and flow of the music. Here, were we only to be paying passing attention, the music could be said to be meandering aimlessly. Upon closer inspection however, one can discern reflections from the future of the music rippling backwards over us causing time to ripple and swirl. The anticipation of Phil's thundering bass roll, and the upcoming torrent of power soon to scorch the landscape around us is palpable. Once it hits, all bets are off and we cascade downhill in rivers of molten rock and crystal. Out of Other One we arrive at Morning Dew, a song hard pressed not to elevate any second set to a higher level. And while this recording is so thoroughly fine that literally any moment can display the breathtaking clarity of sitting in the sweet spot, when we reach the beginning of the slowly building end portion of this song, this recording begins to pull our senses completely out of the physical sphere. As Jerry lightly plays a tinkling rainbow of melodies the recording surpasses all description. We are the music as it crashes into the sky and flutters back to earth like the streaming sparkler trails of fireworks. Worthy of some dedicated listening, this show and its sister on the next night (which, by the way, is equally represented at the hand of our intrepid taper) provide us with a cornucopia of pleasures drawn directly from the heart of a subtly magic time in the band's performance history. The tenth installment of the Under Eternity Blue radio program hits the Internet airwaves this weekend on Spirit Plants Radio with three show times: Saturday, June 12 at 7pm PST, and Sunday, June 13 at 5am and 2pm PST. In this episode we return to Dub Reggae, this time directly into the heart of the 70's when dub was fully coming of age and pushing the borders of anything one normally expected out of Reggae music in general. Focused on the years 1973 - 1975, we will enjoy music that is as much raw and organic as it is psychedelically produced and often cutting edge for its time. The sound of these years epitomizes what goes down in the record books as Classic Dub. No doubt, a good time for your ears awaits. 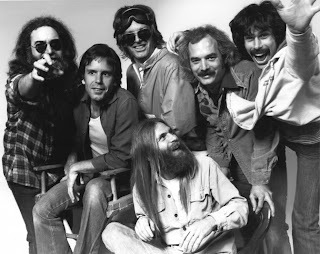 As has often been pointed out here on the Grateful Dead Listening Guide, there is something extra special about discovering a wonderful show that may have hitherto evaded your radar. In fact, for many, entire years might fit this description, and 1980 is typically one of those years. So here for your pleasure is one such show. Things are so good on 05/10/80 that when it's all said and done you might very well find yourself saying, "Where has this show been all my life?" This show has the sense of bursting energy about it. The band seems intent on pushing itself beyond the norm, and nowhere is this more evident than in the meat of the second set. Given the uniqueness of song pairings on this night, it's almost a crime to know the set list before you listen to this show as it kills the surprises. But this seems somewhat unavoidable here thirty years later. After a China>Rider that finds Garcia absolutely peaking through one blistering run after another with giant spinning and spiraling wheels of starlight, the stage is set for what is already hinting at being a special evening. What follows not only contains some amazing music, but also presents us with several song transitions that never happened before, nor ever would after. 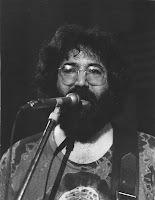 A snaky Stranger finds its exit jam turned on its head by Jerry as he slowly brings us over to Comes A Time. 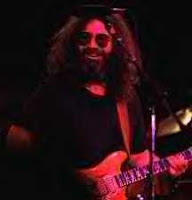 The transition seems to extend forever as Phil continues to return to Stranger while the rest of the band follows Garcia's migration. It's been over a year (and over 70 shows) since the last Comes A Time was played. That, coupled with coming out of Feel Like A Stranger for the first and only time, serves to thrill the audience completely. This first post-Keith and Donna era Comes A Time floats its way out on delicate wings that allow the spaces between the music to swell with emotion. We've found a secret garden hidden behind hills where we can become one with a tender tranquility. And out of this garden we enter Estimated Prophet (never before or after to be found coming out of Comes A Time). This Estimated succeeds in transgressing the laws of time and space as it defies any ability to be called solely a product of 1980. The jam is awash with great swells and syncopated rhythms that coil like rising smoke in still air. The slippery edges of slow motion water over river rocks eventually recede leaving us in He's Gone. The entirety of He's Gone feels born out of the same secret spaces discovered in Comes A Time. As we pass into the end portion of the song we are again treated to a dose of music that has a tactile presence to its silences. Everything visible and invisible combines to take us further out of ourselves. This slowly grows in intensity as cosmic winds and jet streams rise around us. Then the music settles, and given our location in the show we can't help but expect to head directly into Drums from here. This is not to be. The transition into Uncle John's Band captures the quintessential perfection that was Grateful Dead improvisation. Again never seen before or after, heading from He's Gone into UJB is like icing on some magical musical cake. There is no escaping the energy that pours from the band to the crowd and directly off the tape. We are firmly in our sacred space with the band. There is no desire to be anywhere else. "Where does the time go," indeed. The music begins to eclipse itself as the jamming unfolds. Decidedly proving that there is no reason what-so-ever to discount years or decades that came after the Dead's "golden era," this jam is riveting. The song itself eventually falls away and the band continues to coax magic from thin air prolonging the approach of the moment when the drummers finally take over. The post Drums/Space portion of the show is intensely rockin' right to the final notes of the two song encore. The band certainly was in no mood to hold back. When it was all done, the music played for nearly 3 full hours. 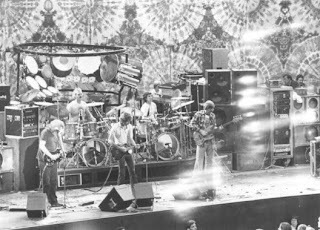 Immediately after what would later become arguably their most famous show of all time, the Grateful Dead just rolled right along. On the very next night they were simply playing the next stop on the Spring 77 tour in Buffalo, New York. For them, the events of the previous night were very likely to have passed relatively unnoticed. It was just what happened yesterday. A good show, no doubt. But the earth didn't shift on its axis. 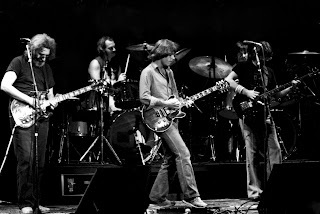 That said, when you go back and review the musical events of that May 1977 tour, you can appreciate that the band had set its own bar pretty high in early 77 and was coasting completely in the zone at this time. What felt commonplace in the moment clearly became the stuff of legends as the years wore on. This show opens up with a Help>Slip>Frank that is spun directly from the cloth of the night before. And it's almost no wonder that something like this is what comes directly out of the gate the night after Barton Hall. It's as if the massive energy of the previous night's second set needed further release. It finds it in spades here. Slipknot comes on like a surging thunderstorm hurdling towards us over a mountain range in the distance. For a time, the music is awash in hazy, cloudy mist. Slowly elements and energy begin to take form and before long potent eruptions and gales lash at us from every direction. The show is getting off to one of those starts where you feel we may have dropped into the start of the second set rather than the first. Things are just too intense. The music approaches its climax as great fists of power knock us off balance. Eventually the band gels into the song's head again and they smolder through the structured final section. We are dropped directly into a Franklin's Tower that is about to nearly lay waste to everything that just came before it. 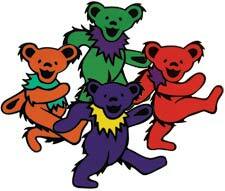 It is in Franklin's that we find that effervescent full dimension of the Grateful Dead appearing. And leading the charge is Mr. Jerome Garcia, as on fire as he ever was in 1977. As you will have already noticed, the audience recording featured here is quite fine. We feel the hall, but are up front enough to experience the vocals in extreme clarity. It's a perfect setting for a musical experience of the highest order. Garcia proceeds to blow lyrics in nearly every verse. 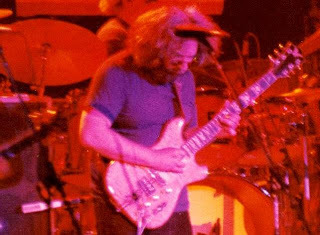 And somehow, as deadheads are often ones to notice, these slip-ups seem to propel Jerry's soloing into the stratosphere. He is crisp, he is clean, and the band is in lock step behind him. And Keith is playing the organ instead of piano here – a truly rare and amazingly satisfying treat to be sure. It takes a verse or two, but eventually Garcia and the boys stretch out into an inferno of classic Grateful Dead rock. The performance engraves itself in the book of 1977, and you can feel every nuisance from each musician. The music is palpably loud, streaming out and over your head. 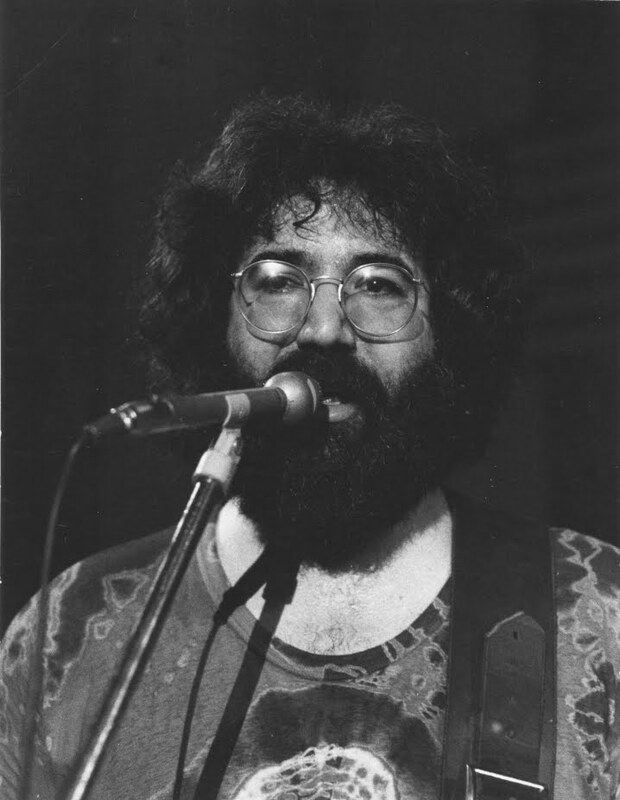 It's exploding sunshine into a sea of joy beyond measure as Jerry continues to climb and climb. He approaches shredding without giving in, and the entire band is catapulted into the sky. Amazingly the show has only just begun. The rest of the set continues as textbook 1977. There's no mistaking that certain blend of energy and enjoyment that the band was emitting at this time. Because of this, much of the set is dappled with highlights. One worth calling to your attention is Big River. I've said it before, Big River may be one of the most overlooked tunes in the entire songbook of the Grateful Dead. Jerry must have looked forward to this song more than most as he would almost always lay down solos that went beyond expectation. This night is no exception, and deserves a good listen. By the time he goes around for the third and fourth laps in his last solo, Jerry has fire flying out of every pore of his being. The first set closes with The Music Never Stopped. Friends, there is little I can do to suitably set the stage. Accolades are rightly lofted upon this version by many a tape collector. The crescendo is so fierce that you can't help but marvel at what it was like to be there with the band back in 1977; to be in the presence of something so ferocious. And it also goes a long way to supporting the fact that the night before isn't so much more special or unique. Considering all the songs at the Dead's fingertips, it took far more than one night to allow them to express them all. Tonight, on May 9th, we are clearly experiencing an extension of the previous night. It's just one long ride in May 77. Enjoy. Second set highlights do not fail to match the fireworks of the first. Estimated Prophet coils out with snaky and mysterious tendrils. They curve and caress their way through the crowd painting a rich watercolor of stained glass rivers. These waters seep into everything, infusing the experience with the psychedelic unknown – like tipping over a precipice that leads into a great sea of kaleidoscoping fog. After spinning entirely away from Estimated, a subtle jam finds itself launching an Other One that packs infinite intricacy and detail. There are endless featherings of reflection and echoing tremors that peel off of every corner of the music. These rushing rapids send our hearts spinning, completely at a loss to find solid ground. We come out in a wide open terrain where Drums impossibly liquefies the earth beneath us. This transitions into Not Fade Away and again the music comes to tower over us, performing an endlessly intricate weaving of streaming lights and textures. There's too much music to be coming out of just one band here. Everything is playing off of everything else, and the occasionally whispered reminders of Not Fade Away come and go, teasing us with a knowing smile. Then a segue born upon night mist leads us into Comes A Time. 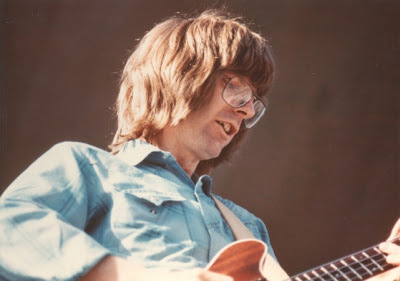 The juxtaposition of Comes A Time against everything that preceded it demonstrates yet another layer of the Grateful Dead's magic. We are in church again, at complete peace. Every cell of every body sings this prayer together. It's as if we've known it our entire lives. The connections between audience and band are unmistakable, and we expand into another moment that we both wish would never end and goes on forever at the same time. Comes A Time jams. There is nothing quite comparable to the exit jam section of Comes A Time in 1976-1977. They are a breed unto themselves. Here on 5/9/77 we are spun out into such gorgeous emotional expression that one can barely hold back tears. Things become indescribably beautiful. These are the moments that define the love many of us have for this band. Sugar Magnolia ends the set with a bang, and then we get treated to an Uncle John's Band encore that closes the evening right back in the happiest of places. We glow with the music. We sing with the band. They proceed to stoke the wild fire embers again as they let the song's 7/8 section blossom into rainbow moons and cascading stars. Sensationally this encore crackles and shines, closing a show that could only have happened in that mythical year of 1977. Ooo. There's nothing not to like here. We have a lovely enough recording of a show that out shines its relative obscurity by many miles. Even in a year (1981) that is famous for portraying the enormous lift in the band's playing energy which is so well associated with the early 80's, this performance pushes even those boundaries. This show is played hard and fast, often feeling more intense and edgy than others you may hear. But this is not in any way at the cost of including several extremely satisfying explorations into pure luscious and spontaneous creativity. The show wastes little time before striking gold. Sugaree is sublime. 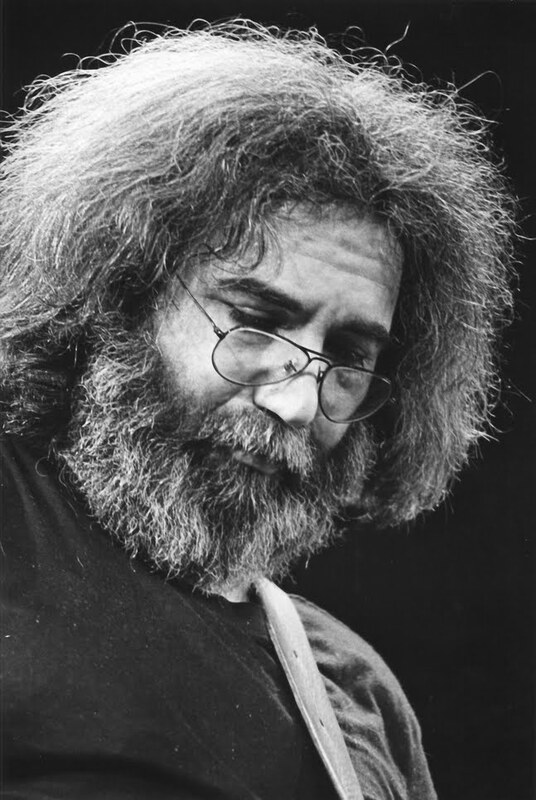 Jerry's soloing spans the slow and soulful expressions of a melancholy bird's song to the rapid fire staccato whirlpools of exploding firecracker fractals. Beneath him, the band slips the cycle of the downbeat in all directions. 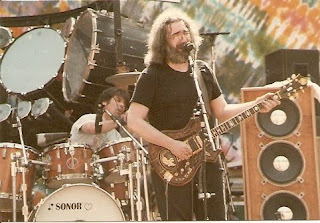 Phil sends the music into almost unrecognizable terrain as Billy and Mickey accent Garcia's notes causing our internal beat counter to become blissfully disoriented. But this is only a prelude to the adventures in the second set. After a rocket fueled opening Might As Well > Samson And Delilah we get a lovely Ship Of Fools followed by the show's main event. The Playin' jam is alive with the extra sharp energy of the entire evening. The swirling circles and endlessly curving and careening waves eventually fracture into shards of crackling light as the music takes on a strobe light flickering, rapidly rushing in and out of our visual field. From here the jam ends far too soon. But it is not without its own rewards. For only the second time in the band's history, they segue from Playin' In The Band into China Cat Sunflower. And this China Cat is played faster than I can easily conceive that I've ever heard it played before or after. Garcia leads the way in and it seems to be going too fast for Bobby ever to pull off his portion of the song's signature riff. But he does it, and about as perfectly as you could ever ask for it to be done. This entire version of the song exceeds all descriptions I've ever given early 80's China>Riders and their ability to come on like a psychedelic carnival of sound and color. The song moves so fast it spouts diamonds and liquid ribbons into the air only to see them trail deeply into the distance as the wind rushes past like the song is speeding down an open highway. Notes fly off like flickering tongues of flame licking into the air. As the band hits the climax of the jam we're pulled light years ahead of ourselves, trapped in the grip of a manic typhoon of speeding music. I Know You Rider does not let up one bit, but somehow in its traditional underpinnings we find some relief from the rushing insanity. That is, until Garcia starts playing his leads again and the world spirals and bleeds endlessly into itself, launching us into a broad smile-infused dance where we lose all care or concern over our inability to find any footing. This is high Grateful Dead drama and there's no better place to be lost. From I Know You Rider, they hint momentarily at returning to Playin' In The Band but this ends up speeding into a loosely structures space jam before reaching Drums (special tip of the hat to my friend David Minches who digitized this audience master tape and his well executed splicing of an unavoidable tape flip at the head of this jam). The music charges down broad circular paths before exiting our vision leaving the rush of Drums before us. There is a long played Space which drips and pools, shimmers and evaporates, smolders and sings its way back toward the Playin' Reprise. As Playin' ends, the band takes another unexpected turn into Wharf Rat (this only the 6th out of 10 times the two have been paired as such, and the first time in over 3 years). It's rare enough to be a complete surprise to anyone listening, newbie or old school trader. And it doesn't end there. 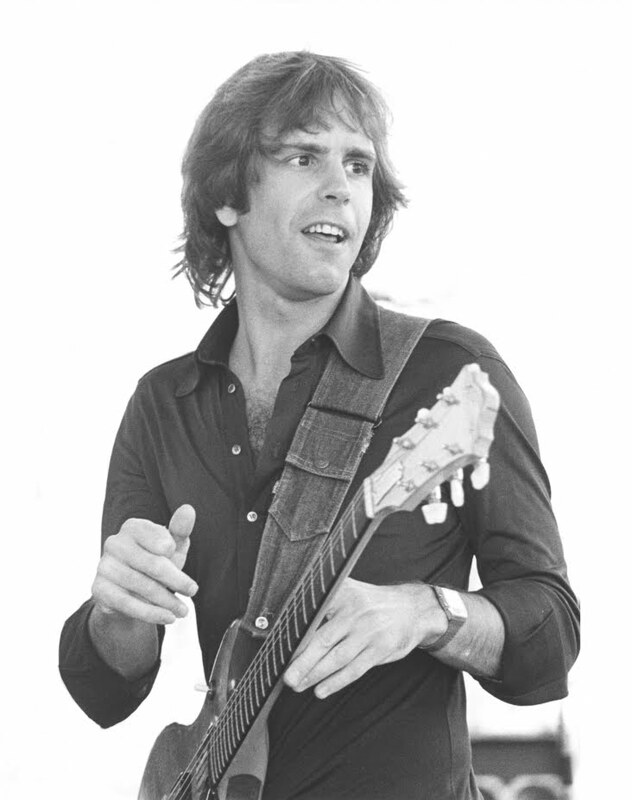 Another transition that was logged only ten times in the band's career is Wharf Rat into I Need A Miracle. Rare enough to look nearly absurd on paper, but matching the theme of the evening where everything seems driven by an overwhelming sense of explosive energy, Wharf Rat finds its tempo unexpectedly quickening and its intensity building as the band pulls off a nearly unthinkable, yet brilliantly played transition into Miracle. Quintessentially putting the icing on the cake, I Need A Miracle > Goin' Down The Road (these only paired together 8 times ever) caps off the second set, somehow raising the bar even higher with intensity and vigor. The slide into GDTRFB finds the music edging into a collapse of key and tempo, yet without the band missing a step. It's an Americana flag rippling shower of electric folk psychedelia as the band powers along without squandering the chance to extend the solos and elevate the crowd to a frenzy of joy. We are brought back to earth (just barely) with the set closing Johnny B Goode. And then, as if in fitting style to the band's obvious foray into unexpected terrain all evening, they encore with the first It's All Over Now, Baby Blue played since 1974 (only the 3rd time since 1970), ushering in the return of this song to the line up as something of a staple in the encore spot. Good grief, do you need any more cajoling? If you haven't started downloading this show yet, there's really nothing left to do. You have to love the way that even after so many years, the riches of the Grateful Dead's concert catalogue can continue to bear fruit. It's not just the occasional previously unheard show coming to light, but as you get more than knee deep into collecting shows, you find that these riches can also come in the form of "upgrades" to classic tapes, let alone by bumping into a date that previously evaded your attention altogether. For me, this happened in spades with September 1st, 1979. As much as it may have been new to me after so many years, there are, no doubt, scores of traders who have treasured this show for decades. Such is the nature of Grateful Dead tape collecting. There's more out there than could ever be universally experienced. In the case of 09/01/79, this is a wonderful show that I have now found represented by a stellar audience recording. And that sends it right to the top of worthy additions to the Grateful Dead Listening Guide. The show is chuck full of delights spanning a fine Half Step > Franklin’s opener, to only the fifth rendition of Lost Sailor > Saint Of Circumstance (still in it's formative stages). And the first set burns with the fire that we would come to associate with early 80's first sets in the years soon to follow. But, for me, the crowning jewel is the enormous Scarlet>Fire that opens the second set. Long enough to fill the entire pre-Drums portion of the set, this is an under appreciate version that can stand with the best of them. Scarlet Begonias gets started in a somewhat standard fashion. We are bathed in audience recording perfection as the music pours into us. Brent is slightly out of the mix, but to mention it is to be overly nit-picky. This is one hell of a recording. The song finds its way into its extended jam, satisfying on all levels. Eventually Phil hints at the transition into Fire On The Mountain but Jerry will have none of it. Garcia proceeds to launch into a nearly cosmic level of playing, pushing his only weeks old Doug Irwin "Tiger" guitar into the heavens. His tone absolutely shimmers off the tape, and we are left slack-jawed as he drives himself into one amazing phrase after another. It goes on for several long minutes before the band finally does transition into the next song, and the cosmic level of playing only continues from there. Fire On The Mountain – all 16 minutes of it – is a 1979 snapshot of the Grateful Dead's evolving essential core magic. Sure, there are folks who proclaim that there is nothing worth their ear after 1974. But this is the sort of performance that even these people would be delighted to hear. 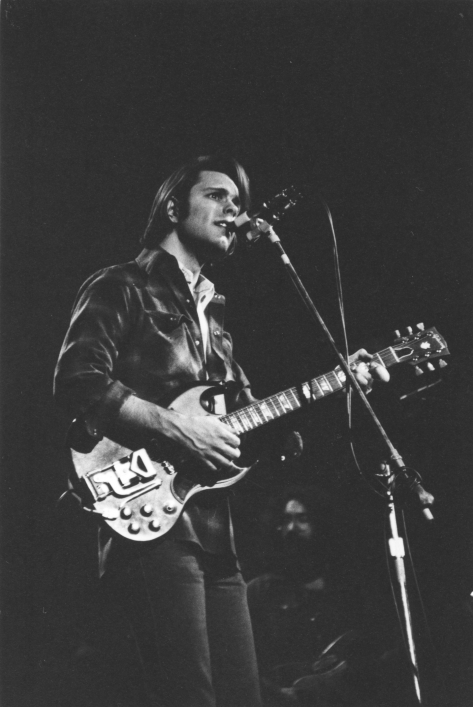 The pulsing beat and syncopated rhythms of this Fire On The Mountain display the voice of the band's primal groove in the late 70's. The magic is alive and well, and Garcia wastes no time riding the wave. All of his solos are tinged with something special, but his last efforts goes beyond all expectation. Amidst his inspired and passionate soloing, his exploration of tone via his collection of processing gear pushes his sound into something we might otherwise associate with his midi work ten years later. His guitar's sound pushes completely out of bounds as the world around us is alive in rippling waves and sparkling starlight. We are flashed directly into a singular experience with the music, like some tribal dance reaching its zenith. The post Drums portion of the show seems to fit an outdoor football stadium party atmosphere perfectly, as the band delivers a nearly solid rockin' ride straight to the end of the show. A good time had by all, with part of our consciousness left permanently in the outer reaches of the Grateful Dead’s cosmic muse-garden forever. A fitting resting place we’ll happily return to again and again for sure. Enjoy this stellar audience recording.